Google Testing New AMP News Carousel Design On Mobile? 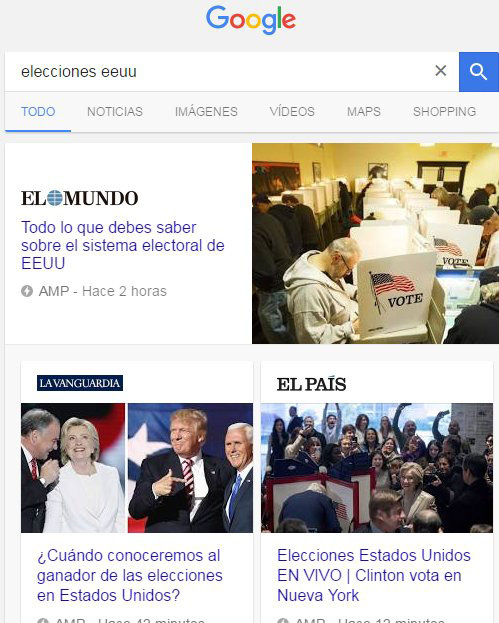 Home > Google News > Google Testing New AMP News Carousel Design? Google Testing New AMP News Carousel Design? Google may be testing a new look for the top news carousel, which is powered by AMP content only. Beatriz Rodrigálvarez Vicente shared a screen shot on Twitter, hat tip @christian_wilde, of the new layout. Instead of it being a string of boxes that goes from left to right that you can scroll through by swiping on it from right to left and back, it shows a logo and story title on the left with an image on the right. Then below that are more top news stories in the original format.